J&J Amusements go karts and bumper boats for sale have the strongest motors. At J&J Amusements, we believe in safety, durability and innovation. We understand that the engines and motors we use in our USA made go karts and bumper boats for sale must provide the same, so we chose Honda. 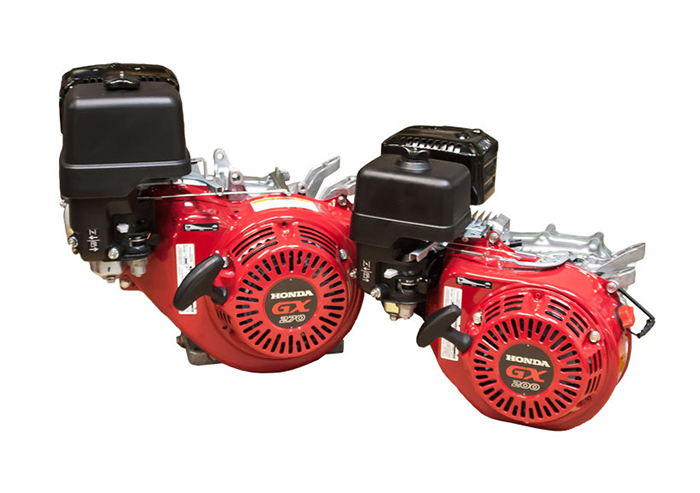 Honda engines and motors have less downtime, lower costs, and better performance. Honda has the most experience, and a reputation for quality and performance. J&J Amusements Honda powered go karts and bumper boats for sale are the best in their class. Honda stands behind our engines with an industry-leading, three-year commercial warranty on all GX engines, 100cc and larger. With best-in-class engineering and technology, our Honda-powered engines provide better fuel efficiency, higher power output, quieter performance, and greater ease of use. They meet the new CARB emission requirements without the use of a catalytic converter so they will be ready for the future EPA and CARB standards as they are introduced. You want your machine reliable and durable. Our electric go karts for sale are low maintenance, requiring only that the batteries be plugged in after each run. Our electric bumper boats for sale have excellent runtime, with the ability to run a normal 12-hour (or more) day on a single, overnight charge of 8 hours or more. We know that the engines and motors we use in our go karts and bumper boats must provide the same, so we chose Honda.